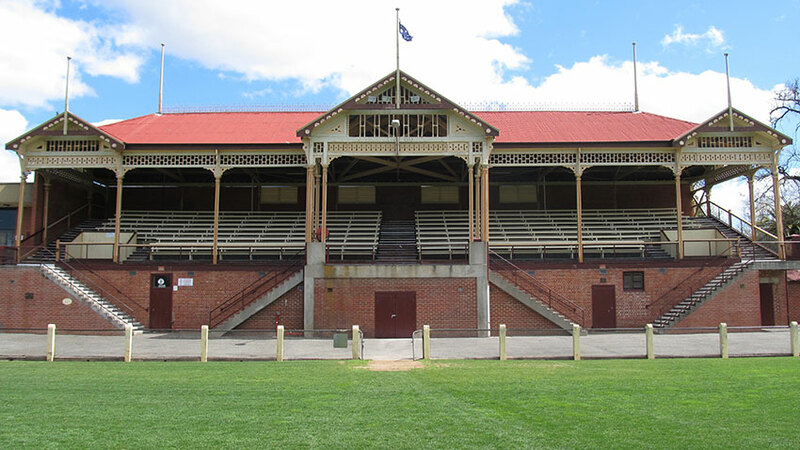 Princes Park, the footy ground in Maryborough, is an imposing place. 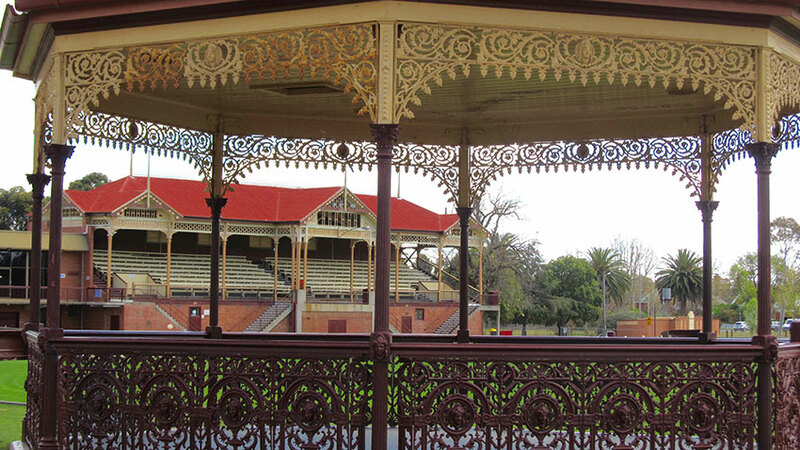 There’s a big handsome grandstand, a rotunda completed in 1904 and a solid scoreboard all set in attractive surroundings. However the Magpies have been anything but imposing in recent times. Doubts arose about Maryborough’s ability to field a team in the Bendigo Football League in 2014 and this year they didn’t win a game on the way to the wooden spoon. 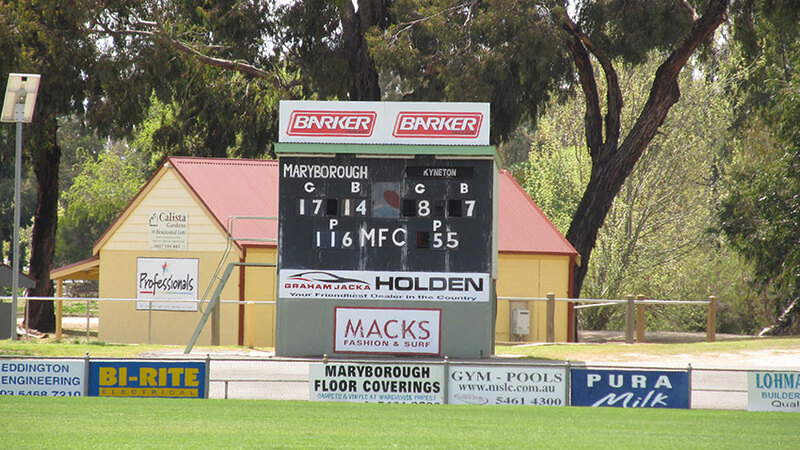 During our visit we discovered the score from a victory over Kyneton that might happen in 2016. Maryborough was the home town of Carlton great John Nicholls and the Subiaco champion Johnny Leonard coached the Magpies to the 1931 premiership. 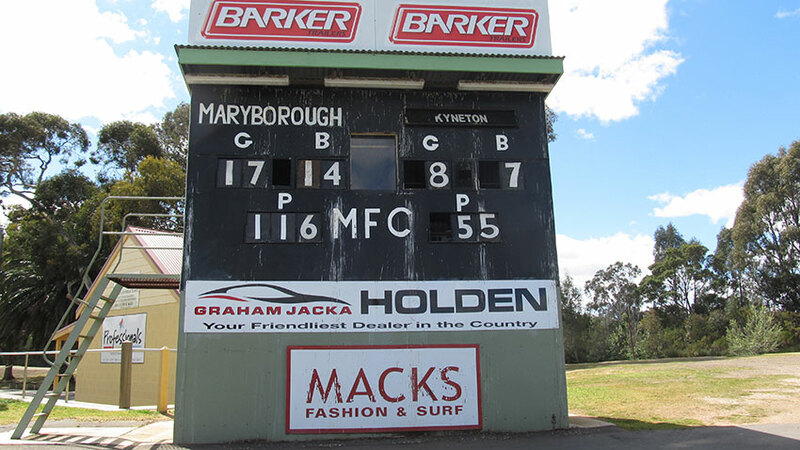 Maryborough’s last premiership was in 1999. But for the full story we turn to BFL expert Richard Jones….